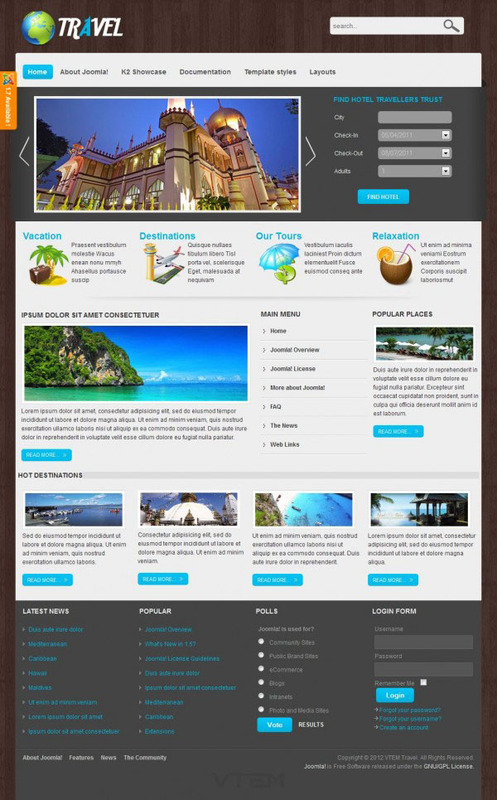 VT Travel - an impressive pattern on the theme of leisure travel from the professional team of developers VTEM. This template is designed in warm colors, with 4 original color solutions that will help you choose the best look of the site. Built-in support for additional extensions club significantly increases the possibilities and potential template. Pattern characteristic of fast loading, support for mobile devices, the overall optimization and convenient kommentrovanie code files. Design layout includes 2 speakers and more than 35 module positions. Fully compatible with Joomla 1.5 and 1.6.